GHA Autism Supports is a 501(c)3 non-profit organization with Federal Tax ID number 56-1218105. All donations are 100% tax deductible to the extent of the federal tax laws. 1) Give simply by making an on-line donation through PayPal. GHA Autism Supports utilizes PayPal for secure donations, accepting all major credit cards. Click on the PayPal button below to use your PayPal account. 2) Mail your contribution check to GHA Autism Supports, P.O. Box 2487, Albemarle, NC 28002. Donations for the Wilmington area may be mailed to GHA Autism Supports, P.O Box 4122, Wilmington, NC 28406. 3) We will also accept credit card information over the phone. Please contact Chief Development Officer Beth Olivieri at (704) 982-9600, ext. 125. Memorials and honorariums are a wonderful way to remember and honor friends and loved ones. Contributions of any amount can be made “In Honor of” or “In Memory of” special individuals to you. Just note that on your contribution and GHA Autism Supports will notify the appropriate recipients of your donation per your instructions. Many employers sponsor matching gift programs and will match charitable contributions made by their employees and retirees. The impact of your gift may be doubled or possibly tripled if your employer has such a program. Pledges can be made in any amount and GHA Autism Supports is happy to honor your billing preference on a monthly, quarterly or annual basis. Please contact Chief Development Officer Beth Olivieri at (704) 982-9600, ext. 125 or by email at betholivieri@ghainc.org to make those arrangements. GHA Autism Supports is a member agency of the United Way of Stanly County. United Way makes gift giving easy through their employee payroll deduction program. You can designate your gift to GHA Autism Supports through the United Way of Stanly County fall campaign drive on an annual basis. If you are an employee of the State of North Carolina, you can designate your contribution to GHA Autism Supports. You may note your gift to us by including our code found in the catalog information provided during each SECC Campaign on an annual basis. Click on the links above to learn more about each fund and how you can make a difference. Gift acceptance is subject to Board approval and must meet criteria. Donate your car, boat, truck, RV, Jet Ski or snowmobile to GHA Autism Supports and receive a tax deduction. This no cost, no hassle process begins when you contact our fundraising partner, Donation Line LLC at 877-227-7487. Make sure to ask for our extension 2977. 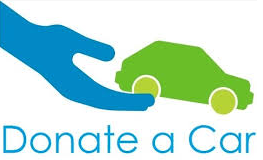 Or you can click here “Donate Car” to donate online now. GHA Autism Supports is always in need of community volunteers for a variety of programs. Please contact Staff Development Coordinator Beth Irvin at (704) 982-9600, ext. 120 or by email at bethirvin@ghainc.org to inquire.